Group get-togethers in the Valley. Entrusting the success of your special group occasion to someone else can feel a little like hiring movers to transport your heirloom antiques. You’re on edge until the day is done, with the outcome resting largely on the expertise of who’s been hired to do the job. 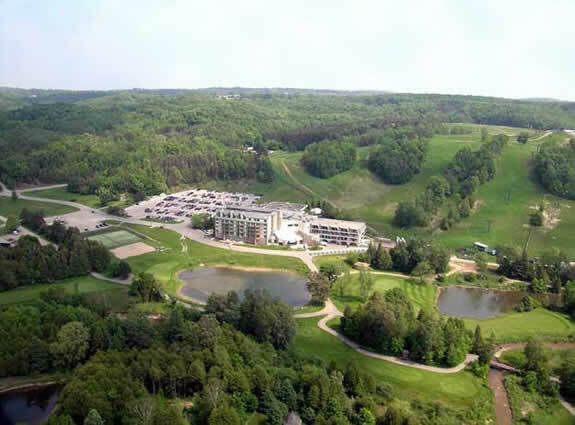 Hockley Valley Resort earned an award winning reputation in the conference and wedding market, a far cry from its roots as a bankrupt 28 room motel purchased by Mario and Nancy Adamo in 1985. 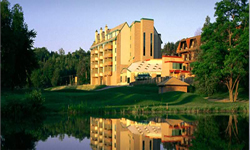 With Nancy at the helm as president, the property was transformed into a 104 room full service resort with ski trails, a golf course, spa and wedding and conference facilities. Her business acumen in the hospitality industry, which drove Hockley to profit, has been widely recognized. She’s been ranked as high as 22 on the Profit W100 list of Canada’s Top Women Entrepreneurs. In 2005, the Ontario Accommodation Association granted her the Butler award for dedicated and outstanding service to their industry. In 2007, the Women’s Executive Network recognized her as one of Canada’s most powerful women. Keeping it in the family, John-Paul Adamo now serves as president and general manager. The resort has garnered a service excellence award from Meetings & Incentive Travel (M&IT) and ranks among Hotelier magazine’s top 35 hotel reports. “They’re absolutely staunch about service,” says Tracy Broad, director of marketing for Hockley, explaining that the Adamo Italian roots helped cultivate a very strict expectation of how service should be delivered. For example, every complaint is handled personally by upper management. 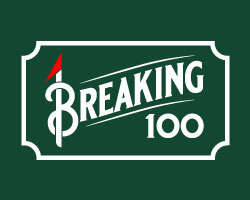 But superior service is just one piece of the puzzle needed to pull off the perfect event. The environment, accommodations and food need to be in place too. About an hour from Toronto, Hockley Valley is a 300 acre retreat into rolling hills. The drive leading to the entrance winds deep into the forest until the resort emerges like a surprise town after a long spell of open road. 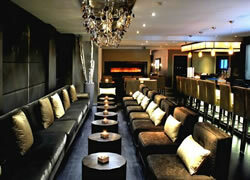 The exterior of the hotel is architecturally understated for the contemporary upgrades within. Though the lobby exudes an older royal feel with gold and red hues, the dining areas, accommodations and meeting rooms quickly shout modern. The resort has seven different room options configured from standard hotel rooms to bi-level executive suites. Hardwood floors, leather furniture, clean lines and limited pattern accents dominate the upper tier accommodations. Opt for an executive suite and you’ll find a fireplace in your bathroom glassed in by river rock. Balconies are commonplace, though not every unit has one. The best views overlook the golf course and embankments of the rolling Hockley Valley for which the resort was named. Once you’re settled in you’ll find one of Hockley’s best assets is its layout. Everything, from the conference facilities to the pool, seems to be just around the corner. Hockley has 14 meeting rooms, the largest being the Montclair ballroom, where enormous crystal chandeliers sparkle across seating for up to 550 guests. Across from the ballroom, the outdoor wedding patio is draped in silky white bunched cloth and surrounded by flower gardens. Couples that choose to get married onsite will have a centre aisle and arbour in a space that can accommodate up to 200. You’ll find the standard resort amenities for downtime—indoor and outdoor pools, whirlpool, sauna, games room and gym. A fountain in the outdoor pool area compliments the extensive landscaping and as an added bonus, the gentle trickle of water makes a soothing backdrop for guests lounging on the spa’s upper patio. If your event calls for customized corporate events or entertainment, Hockley has a full program geared to foster teamwork, such as a Mini Olympics and Drummunity, which uses a drumming circle to synchronize energy. This resort can also arrange nearly every type of live entertainment imaginable from bands to contortionists. While there is much to be gnerally impressed about at Hockley Valley, it’s the food that’s guaranteed to be a show stopper. The elegant Horizons Dining room, with its sophisticated decor and seating overlooking the golf course, is overseen by executive chef George Madalena whose previous posts include the Four Seasons in Toronto. The cuisine philosophy is rooted in choosing the finest and freshest ingredients. Don’t be surprised to find a chef snipping from the herb garden by the pool patio and you can even sign up to stroll through their organic vegetable garden. Hockley introduced two new dining concepts to repertoire with Babbo and Tavola, but niether stray from the eating local approach. The menu is priced very well for what you get. From Ostrich to comforting chicken pot pie, it’s unlikely you can go wrong dining at Hockley. If you’re scoping out venues for your group event, Hockley Valley is great one to put under consideration and definitely worth the tour. Architect Tom McBroom created 18 Scottish inspired links that meander over rolling terrain. The design delivers four sets of tees ranging from 6620 to 4695 yards, creating a good intermediate level golf course for resort and tournament play. A variety of tournament packages are available to groups with options to add features such as golf clinics, play with the pro or customized embroidery to gifts and prizes. 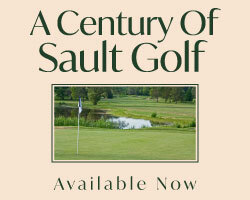 Green fees include carts and handheld GPS. Junior and senior fees are available as well as early bird, weekday and twilight rates.